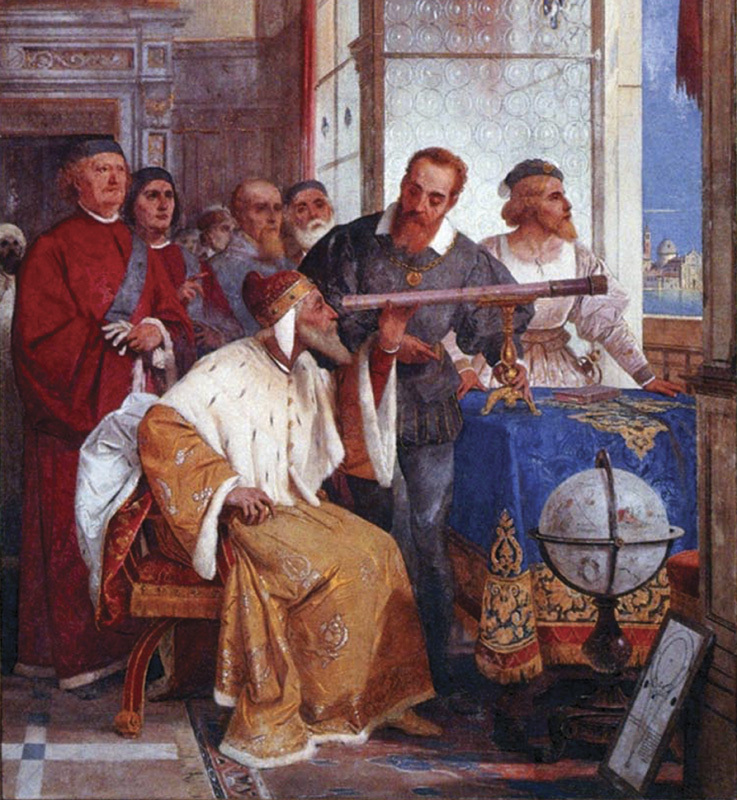 Although the story of Galileo’s run-in with the Catholic Church is often cast as a paradigm for the unavoidable conflict between science and Christian faith, it is a story from which we can learn much. We can draw insights concerning the most effective way that scientists can introduce findings to the church, the manner in which the church can productively engage with science, and the approach we should take to apparent scientific claims in Scripture. 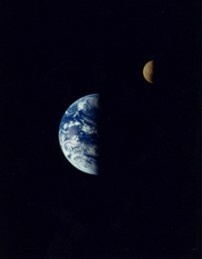 Very few today doubt that the earth and other planets orbit the sun, or that the earth is in one of many solar systems in the galaxy, one of many galaxies in the universe. For most of church history, however, there was no belief but that the earth was the center of the universe and that the Holy Scriptures clearly taught this truth. 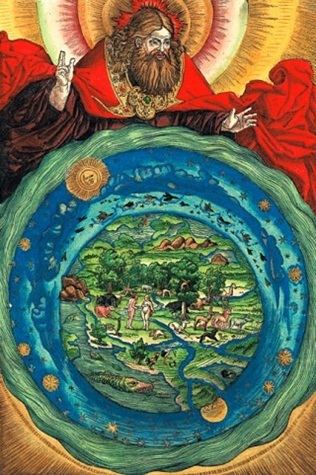 Augustine wasn’t even convinced that the earth was spherical, although he was convinced that it was ridiculous to imagine antipodians (individuals with their feet pointing towards his) on the other side of the earth if the earth was spherical. Among other things, God could not be in the heavens above both Rome and the antipodians and this was contrary to Scripture (so Augustine thought). By the time of the Reformation (Luther nailed his theses to the door in 1517), Copernicus (mid 1500’s) and Galileo a bit later in the early 1600’s, a spherical earth was not terribly controversial. Columbus sailed west in search of a route to the Far East in 1492. The idea of a sun-centered solar system introduced by Copernicus, accepted and popularized by Galileo, was controversial. Many arguments were raised against the idea, only some of which were grounded in Scripture. It was not at all unreasonable for the church to take an attitude of wait and see. It was unfortunate that the church authorities chose to make definite pronouncements against the ideas advanced by Copernicus, Galileo and others. It wasn’t until Newton’s theory of gravity made the scene (late 1600’s) and more refined astronomical measurements followed (1700’s) that Galileo and Copernicus were fully vindicated. Galileo and the Interpretation of Scripture. Galileo was a devout Christian loyal to the Catholic Church. Because of this he wrestled with the interpretation of Scripture and the implications of the scientific evidence. 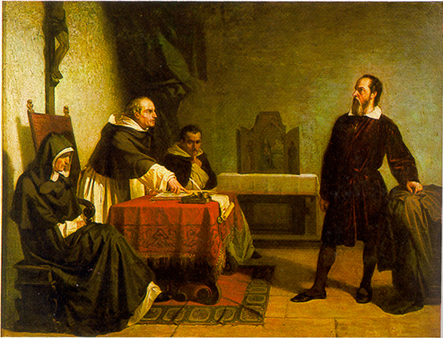 Lamoureux digs into Galileo’s views, especially those related in his Letters to the Grand Duchess Christina. Galileo firmly believed that God was revealed both in Scripture and in nature. God’s self-revelation, recorded for us in the words of Scripture provide knowledge otherwise beyond the reach of human reason. We cannot know, from reason alone, that God is love, that humans were created in his image, that God is both merciful and just, that he pursues his people, that Jesus died for the sins of the world. This revelation, however, is couched in a framework intelligible to the original audience, 2000 to 4000 years ago in the Middle East. It came to humankind though the personal relationship of God with his creation; it did not require any scientific understanding of the big-bang, the magnitude and age of the universe, quantum theory or evolution. Because God created the universe (making it a reliable revelation) and us with senses, language, and intellect, as his image bearers, it is entirely proper to use information derived from study of the universe to aid in the proper interpretation of Scripture. “Galileo adds that “it would be proper to ascertain the [scientific] facts first, so that they could guide us in finding the true meaning of Scripture.” (p. 143). Lamoureux points out that we all do this, we interpret the immovability of the earth, the rising and setting of the sun, and the vault above as phenomenological statements not scientific statements. We interpret the pillars of the earth and the storehouses of hail as poetic rather than scientific. I’ve had this conversation many times following various blogs and in discussion groups. Most Christians simply accept without questions that the demonstrably false statements in Scripture are not intended to be interpreted literally. The mind is not located in the gut. The stars are not inscribed on a vault. Many translations go so far as to hide the original referent from the modern audience without giving it a second thought. It isn’t usually dishonest, but grounded in the realization that other language will convey the truth more clearly to a modern audience. Every translation requires interpretation. One approach to dealing with the presence of ancient “science” in Scripture is to invoke the idea of accommodation. This is not a new idea. Among others, both Augustine and the Reformers used the concept in their approach to Scripture. God didn’t introduce seventeenth century or twenty-first century science into his self-revelation in Scripture because this would have introduced an unnecessary stumbling block for the original audience, obscuring the intended message. 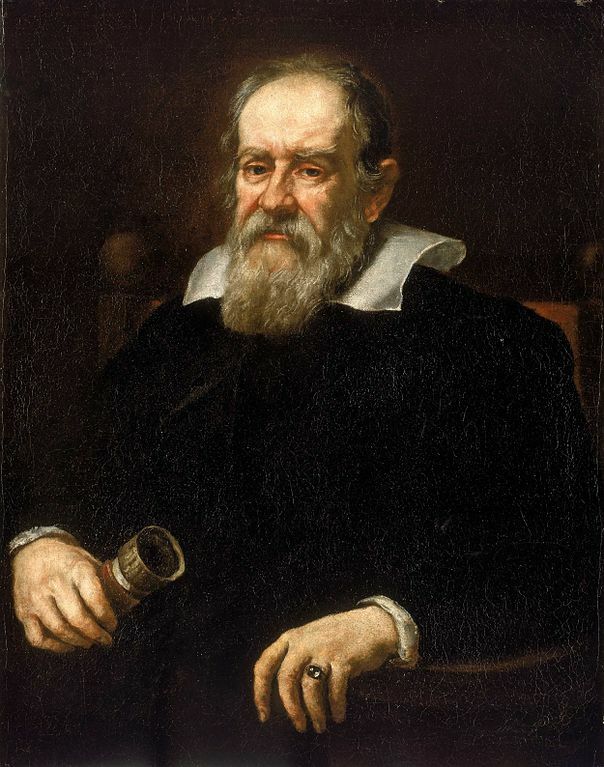 What lessons should we as Christians take from the Galileo affair? (1) Withhold judgment on scientific matters until there is a clear consensus. It isn’t necessary or desirable to shoehorn every new idea into theology. Nor is it wise to reject ideas early, before all the evidence is in. We can afford to be generous and exercise intellectual humility. Science doesn’t impact key claims of the Christian faith – the nature of God or his relationship with his creatures, the incarnation, crucifixion and resurrections. (2) Recognize that Scripture does contain ancient “science” and this does not detract from the message that is conveyed. (3) Avoid proof-texting that rips passages from their biblical and cultural context and uses them to shore up a desired interpretation of Scripture. Someday I am going to write a post entitled “Lord save us from a proof-text faith.” The reliance on proof-texts is one of the biggest failings of western evangelicalism. We need to be immersed in Scripture not shored up by resting on favored tidbits. (4) Avoid authoritative proclamations in areas outside of your expertise. Lamoureux argues “Only let those with proper training in biology, especially evolutionary biology, be given the privilege of teaching about the origins of life in our churches and Sunday schools.” (p. 150) I think this goes too far. Taken seriously it would mean that I should not teach on either Scripture or the question of origins – as I am an authority on neither evolutionary biology nor ancient Hebrew and Near Eastern Culture. I would take a somewhat looser position. We should be skeptical of anyone without expertise who teaches an idea far outside of the mainstream, and of one who does not rely openly on trusted experts in the area. This isn’t a cure-all – but it would go a long way toward a cure for what ails the church on issues of science and Christian faith. Do not allow non-Christians to pronounce on the essence of Christian faith (proclamations that science demands atheism are ridiculous). Allow Christians with expertise in astronomy, geology, genetics, and biology the primacy of place in discussions of these fields in the Church. Allow those with expertise in ancient Near Eastern Culture and language the primacy of place in interpretation of the Old Testament. (5) Understand the reasons given for variant positions on the questions of age and origins. Some Christian biologists and geologists hold views outside of the scientific mainstream, not because of the scientific evidence, but because of their view of Scripture. This doesn’t mean they should be silenced – but that their views should be evaluated on the appropriate grounds. Is the interpretation of Scripture reasonable and is it a sufficient reason to deviate from mainstream scientific views? (6) Respect expertise – whether you ultimately agree or disagree. This is important for our witness as Christians. We need to hold firm to truths about God and his relationship with his people, created in his image. That Scripture records ancient understandings of ‘science’ incidental to the message should cause us little concern and no angst. In his earlier book, Evolutionary Creation, Lamoureux notes that we should expect agreement between historical events and Scripture when the text records witnessed history – this starts at some point in or after Genesis 12. This agreement will be consistent with the accepted forms of writing in ancient Israel up through the first century Roman world. We expect spiritual concord from beginning to end. Scripture faithful records the message of God’s work in the world. We expect scientific concord when phenomenological observations (common in the ancient Near East) are re-enforced by scientific study, not when they are revised or replaced. Scientific concordism simply doesn’t seem to be supported by a careful reading of Scripture or our growing understanding of God’s creation. The Holy Spirit did not correct errant understandings of science – whether in biology, geology, medicine or cosmology. The price of insisting on scientific concordism is large – both in driving some from the faith and in preventing others from even considering the faith. What is the price of scientific concordism? What can we learn from the story of Galileo? You may also comment on What Price Concord? at Jesus Creed. This entry was posted in Bible, Church, Science and Faith and tagged Denis Lamoureux. Bookmark the permalink.